Developed in consultation with Edinburgh’s third sector, this manifesto calls for a commitment to greater unity between political parties and across sectors to tackle the growing inequalities in our communities, and ensure the best interests of the people of Scotland, and in our Capital, are met. It highlights some of the key issues that affect Edinburgh’s citizens and provides actions and objectives that can be undertaken and achieved through better collaborative working, and by investing in Edinburgh’s communities to create a solid foundation to tackle poverty inequalities and injustice. Our manifesto is a start to a conversation about inequality that we hope will continue beyond the council elections to improve the wellbeing of our City’s citizens for many years to come, ensuring that no one is left behind. 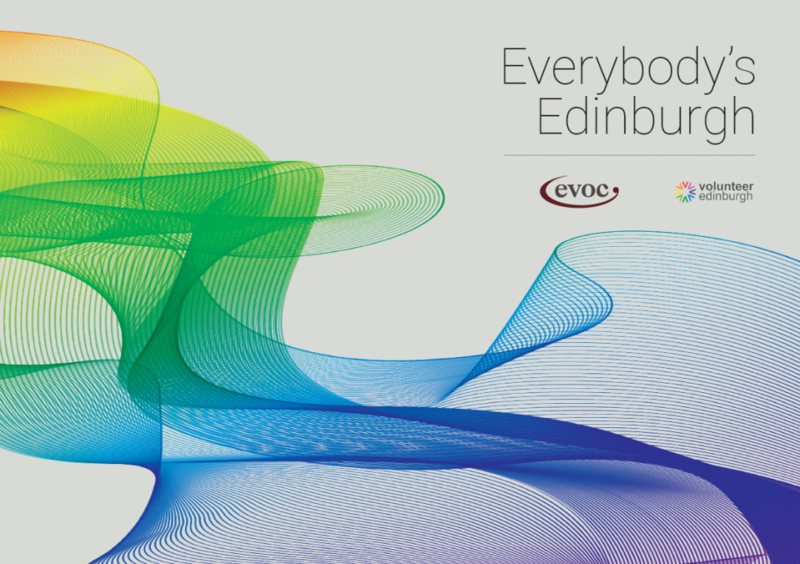 EVOC and Volunteer Edinburgh have worked hard with sector leaders since November 2016 to develop the manifesto and therefore a special thanks is due to the Strategic Homelessness Action Partnership in Edinburgh (SHAPE), VOCAL/Care for Carers, Edinburgh Compact, Changeworks, Third Sector Strategy Group (TSSG) Members, and all organisations who attended and contributed at workshops and other events. Edinburgh Voluntary Organisations’ Council and Volunteer Edinburgh work closely with the public, national and local charities, community groups and the Statutory and Private sectors to provide training, volunteering opportunities and representation for Edinburgh’s citizens.